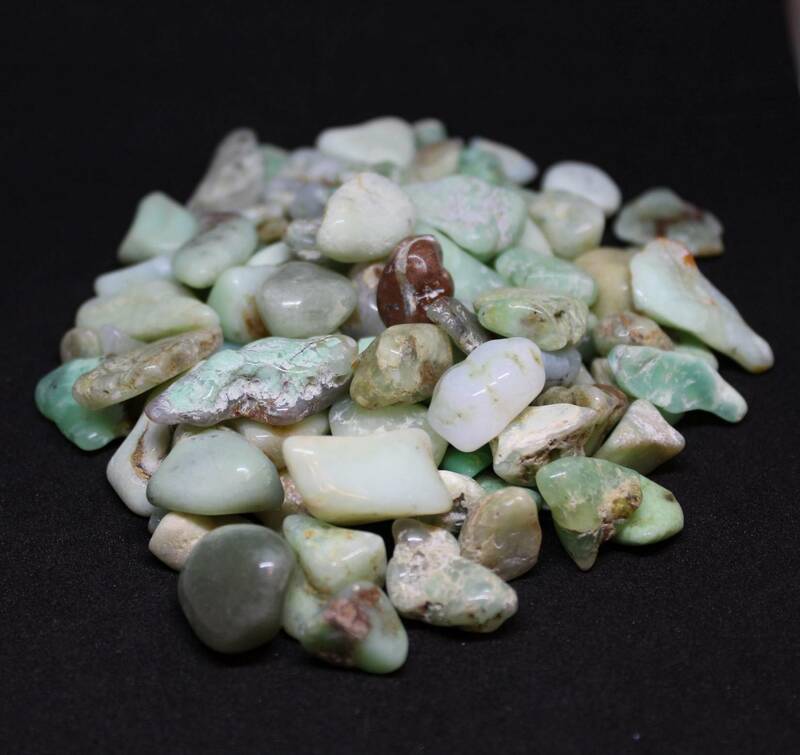 Interesting Chrysoprase tumblestones, available in two different sizes. 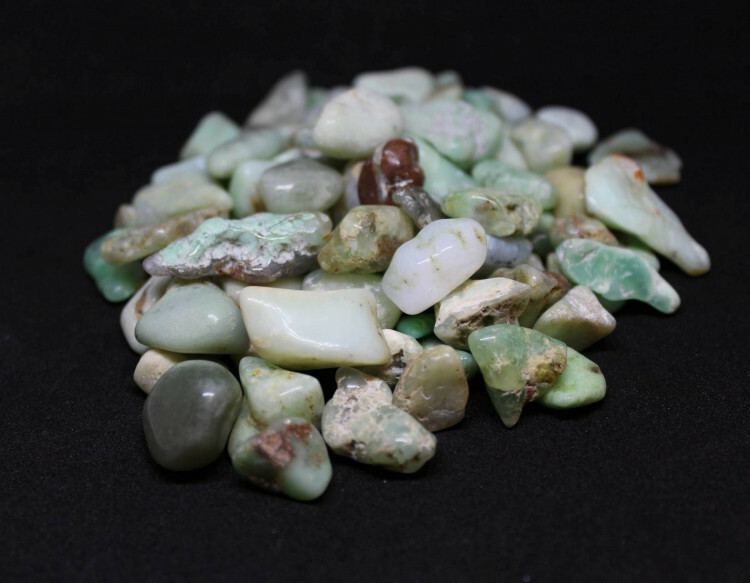 Interesting Chrysoprase tumblestones, available in two sizes – small 10-20MM pieces and medium 20-30MM stones. These have a lovely pale green colour to them, with the odd stone having a darker shade of green. Because they are fairly pale stones, they would contrast nicely with darker stones – especially darker greens. They’d also be quite nice as part of a ‘natural’ display, around the top of a plant or similar. For more information about Chrysoprase, and a full list of all our related products, please see our ‘Chrysoprase’ section. 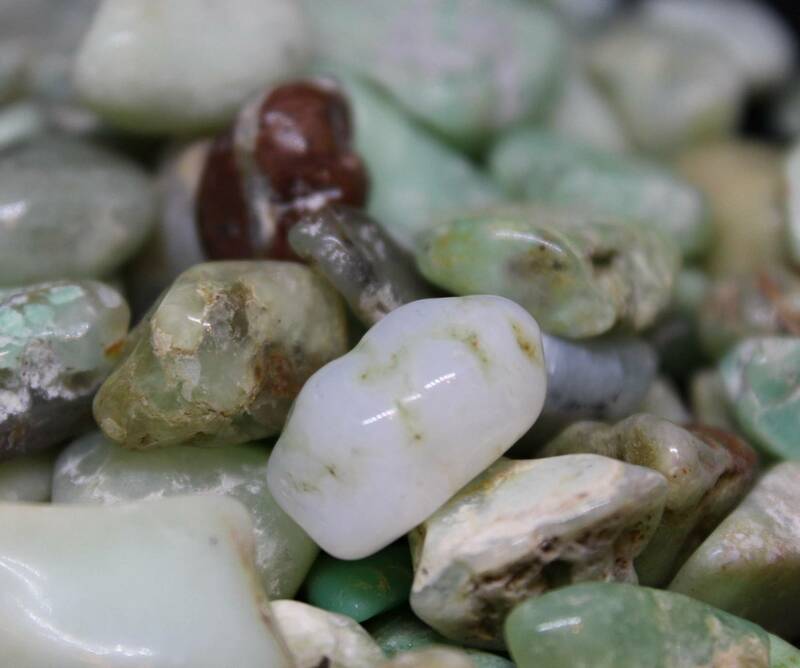 We don’t just sell tumbled Chrysoprase – maybe you’d be interested in our range of semi precious tumblestones.